Almost a decade after the story of a lost little clown fish and the overprotective father who’s determined to find him, the voice actors who brought the undersea world to life are still thrilled “Finding Nemo” found them. 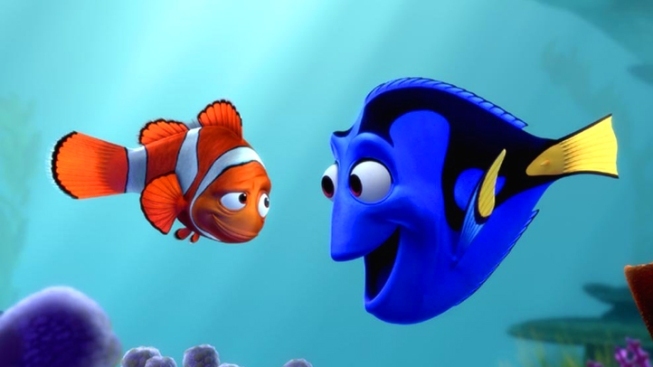 At the premiere of the newly re-crafted “Finding Nemo 3D,” which renders Nemo, Marlin and Dory’s epic adventure in stunning three dimension, NBC revisited a quartet of actors who lent their vocal talents to what remains one of Pixar and Disney’s most beloved films. Then: A nine-year-old voice actress. Now: A college junior with her eye on future acting gigs. Then: An Australian character actor venturing into Hollywood. Legacy: “It's a very positive film, and that's one of the reasons I think kids like to see it: it gives them a sort of a positive look at the future. It shows them that you can persevere and if you keep going, if you keep hoping for the best, then you'll get there. You'll get out of whatever situation no matter how dark or however formidable your situation might be - and equally for the parents!